One of the sections of the Clean Up at the WTC. 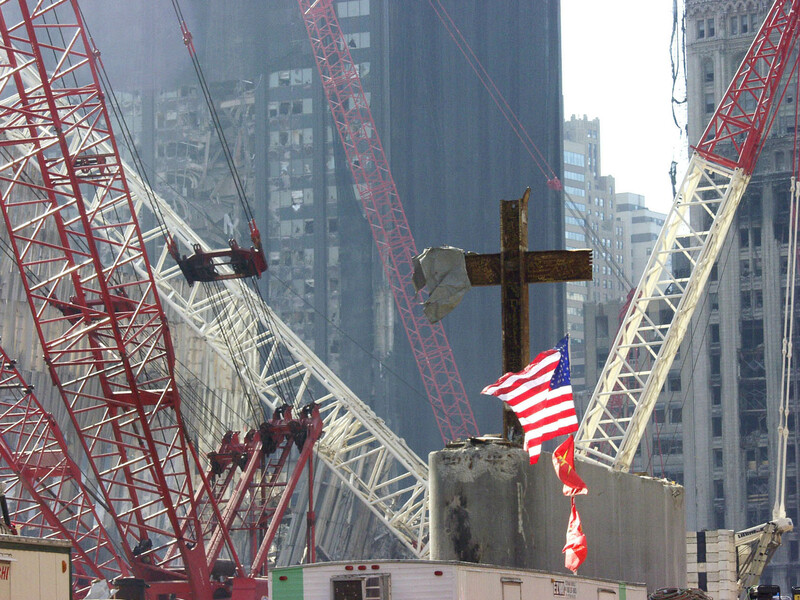 Notice the beams in the shape of the cross. Appropriate that it would form and the flag would be place with it. After all we are ONE NATION UNDER GOD.